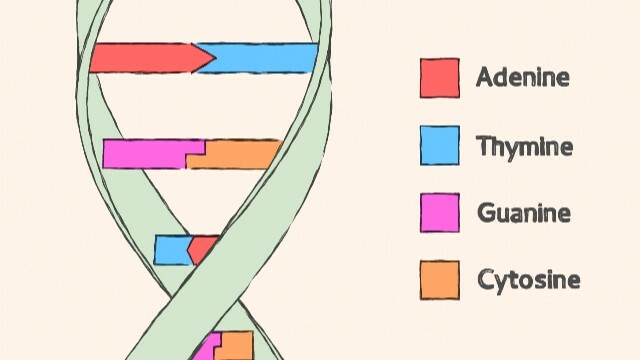 Base editing is a relatively recent genome-editing technique that swaps one DNA base pair for another, offering researchers the potential to correct harmful, single-nucleotide mutations in the human genome. But current classes of base editors only allow the conversion of cytosine-guanine (C-G) base pairs to thymine-adenine (T-A) base pairs, rendering a substantial proportion of such mutations un-targetable with this approach. Now, researchers at Harvard University have designed a new class of adenine base editors (ABEs) that can efficiently turn A-T into G-C, opening up the majority of pathogenic point mutations for editing. The team reported its findings today (October 25) in Nature. Traditional CRISPR-Cas9 genome editing makes a double-stranded break in DNA in order to introduce insertions or deletions at targeted sites. But making this break can lead to a substantial number of errors at the target site, such as the random insertion or deletion of nucleotides (indels). There’s no known DNA-targeting enzyme that makes the switch from adenine to guanine. Base editing, by contrast, directly converts one DNA base pair to another without cutting across the nucleic acid. The technique, first developed by chemical biologist David Liu and colleagues at Harvard, is associated with fewer indels and a higher editing efficiency. Current editors consist of a base-converting enzyme, tethered to a specially engineered, non-cutting version of the endonuclease Cas9. After base conversion on one DNA strand, this Cas9 protein makes a mark called a “nick” on the opposite, unedited strand, prompting the cell’s DNA repair mechanisms to replace the original, now-mismatched nucleotide and thus complete the base-pair swap. But the machinery’s base-converting enzyme, cytidine deaminase, can only turn DNA’s cytosine into uracil (U)—the functional equivalent of a thymine base. There’s no known DNA-targeting protein that makes the switch from adenine to guanine. There are several known deaminase enzymes that operate on RNA, however. One is an adenine deaminase enzyme in Escherichia coli called TadA, which converts adenine to inosine (I)—a base that is functionally equivalent to G—in transfer RNA (tRNA). Previous attempts by Liu’s lab and others to tether this enzyme to Cas9 and achieve base conversion in DNA were unsuccessful, Liu says. So, for their latest project, Liu and Harvard research associate Nicole Gaudelli decided to create their own DNA-editing version of TadA through a combination of directed evolution and protein engineering in E. coli. They’ve managed to get something that actually works incredibly well. First, the researchers supplied bacterial genomes with a custom-made, defective version of an antibiotic resistance gene. “We installed mutations that required adenine deamination in DNA in order to restore antibiotic resistance activity,” Liu explains. These bacteria would die when treated with the antibiotic chloramphenicol—unless they could somehow convert A to I.
Bacteria that made it through this ordeal—that is, those that had fixed their faulty antibiotic resistance genes—must have been harboring TadA mutants that could act on DNA, Liu and his colleagues reasoned. Sure enough, when the researchers expressed versions of these particular TadA-Cas9 mutants from the surviving bacteria in human cells, they were able to swap A-T for G-C in DNA—albeit at very low efficiency (only around 3 percent of sequenced cells showed the change). In subsequent rounds of investigation, the researchers used their bacterial system to further improve the efficiency of the ABE, and ensure that bases could be edited in various contexts—for example, whether preceded by an A, T, C, or G. By round seven, Liu and colleagues were left with an ABE that could convert A into I with minimal errors, at an efficiency of more than 50 percent—a figure typical of current C-G to T-A base editors. To demonstrate the editor’s therapeutic potential, the team corrected a point mutation associated with a potentially life-threatening iron absorption disorder called hereditary hemochromatosis. The offending A nucleotide was replaced with an efficiency of nearly 30 percent in a human cell line, the researchers found, with no detectable indels. Of course, the new editor doesn’t complete the set—it’s still not possible to convert a G to a C, or an A to a T, for example. Liu’s group is working on developing new classes of base editors to make these changes. There’s room for improvement with the current ABE, too. Bassett notes that the system’s editing window—around six nucleotides wide—is large enough that A bases close to the target A may be edited inadvertently. Plus, currently, some DNA sequences are easier to target than others. N. Gaudelli et al., “Programmable base editing of A•T to G•C in genomic DNA without DNA cleavage,” Nature, doi:10.1038/nature24644, 2017.